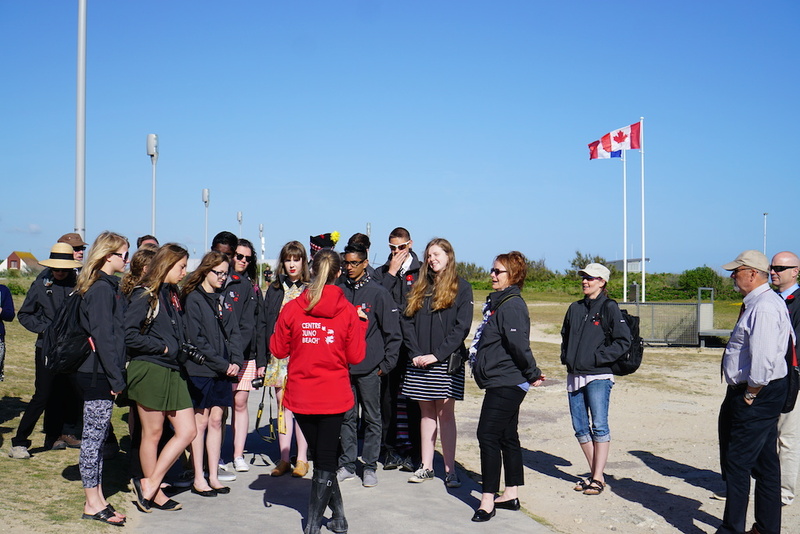 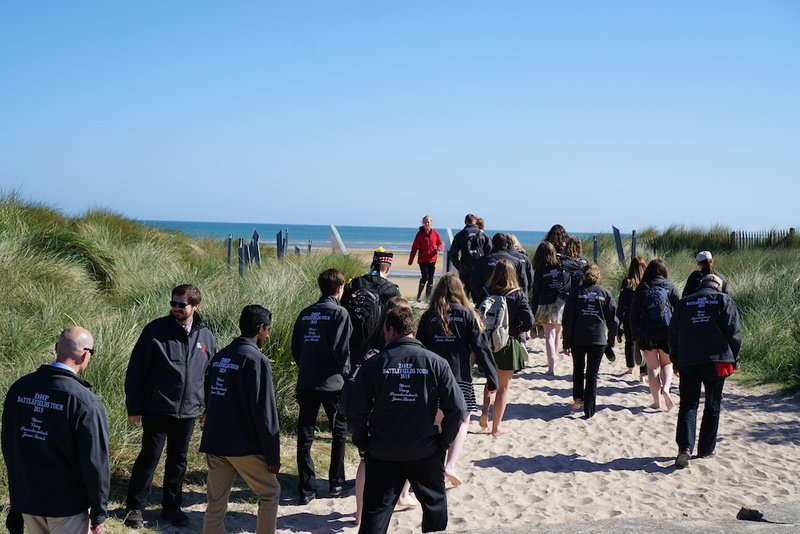 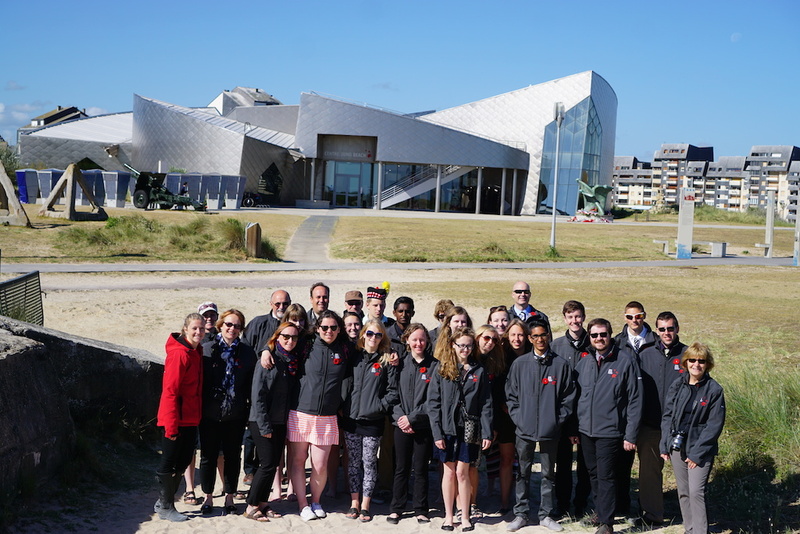 The Juno Beach Centre was pleased to welcome students from the Digital Historian Project from Dufferin County. 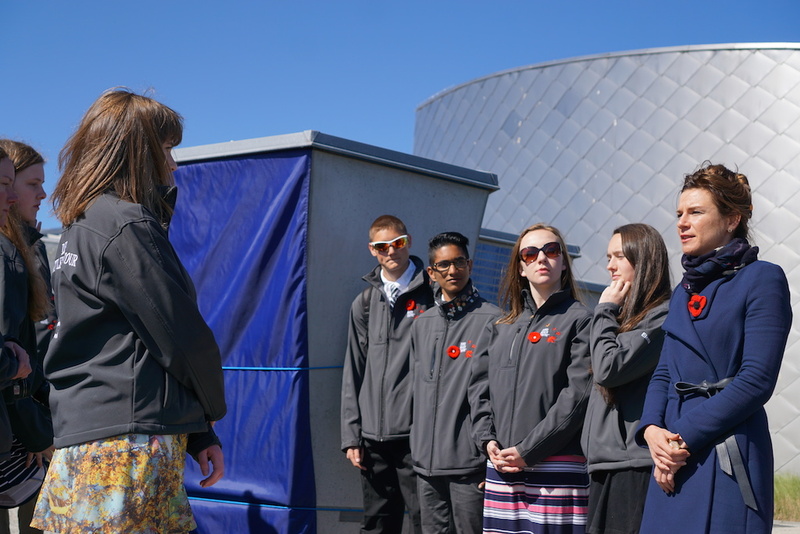 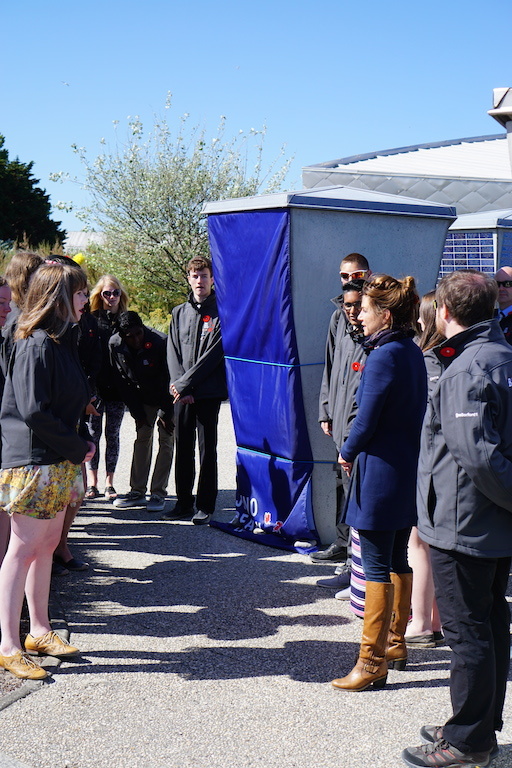 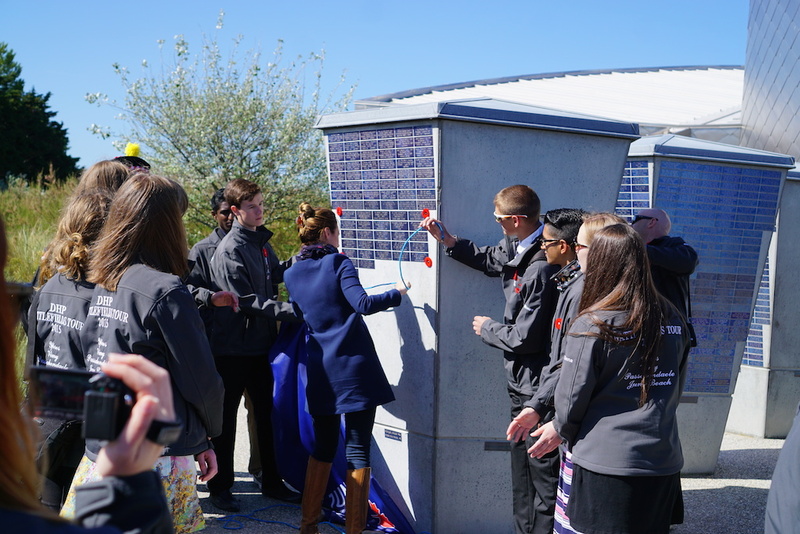 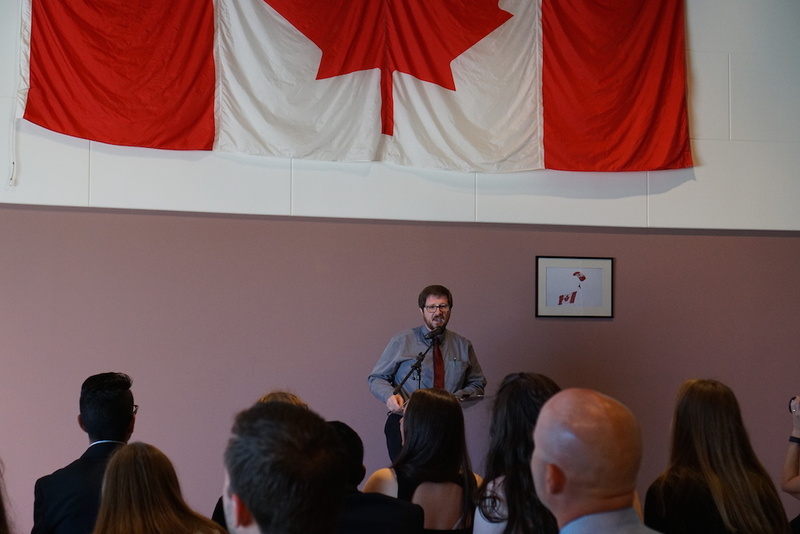 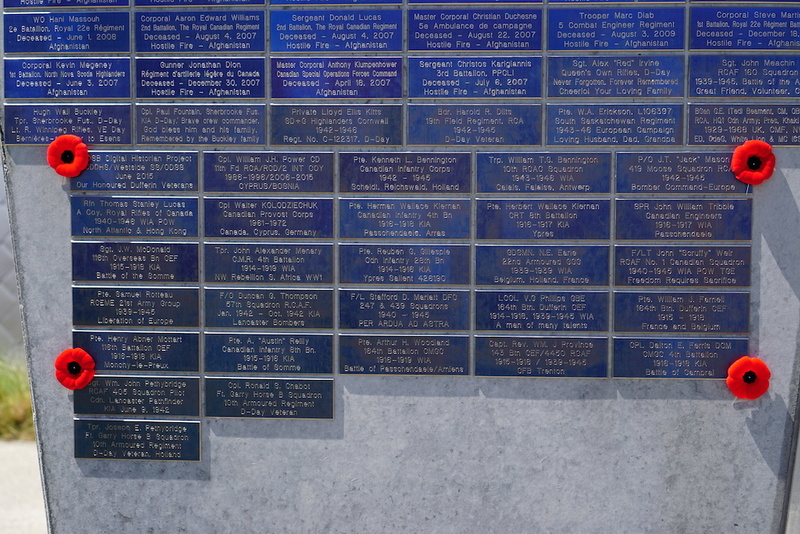 In addition to their presence at the official ceremonies organized by the Comité de Débarquement, the students held their own event this morning to official unveil the 2015 Commemorative Bricks sponsored at the Centre. 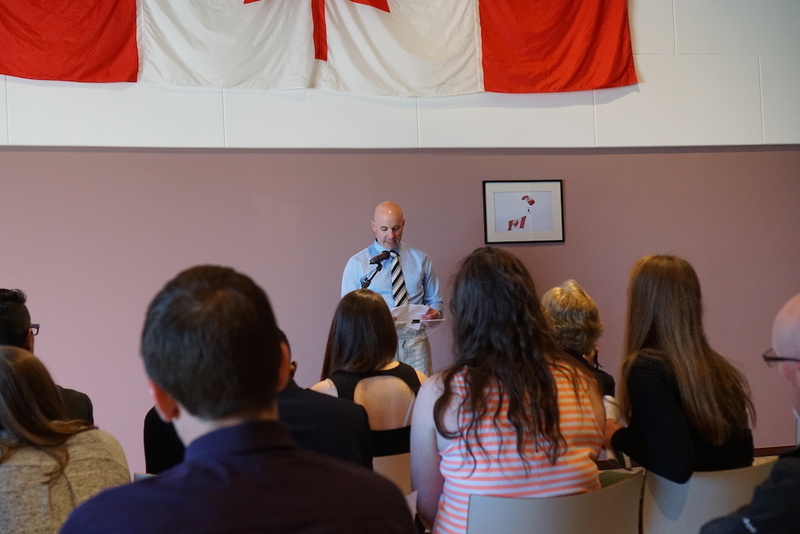 The students also presented biographies of the First and Second World War solider they researched over the past few months. 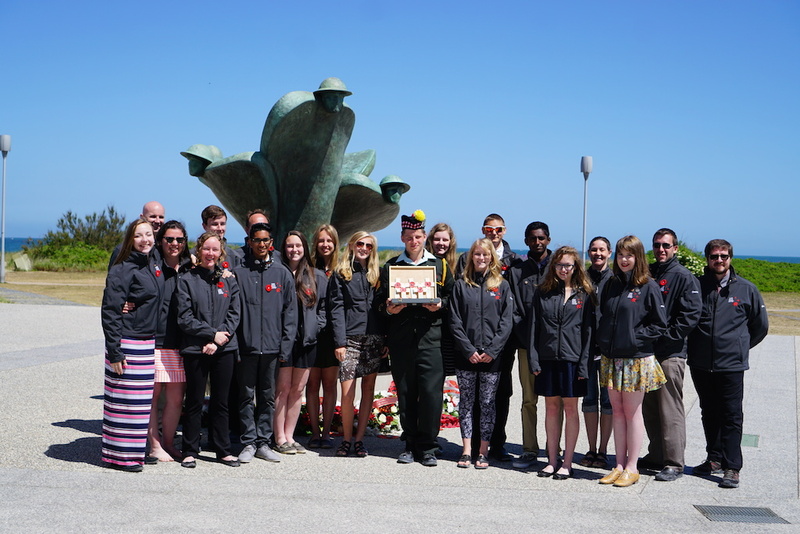 We’re honoured to be a part of such a wonderful project and grateful for the support of the staff and students involved, with a special thanks to Neil Orford for organizing the project. 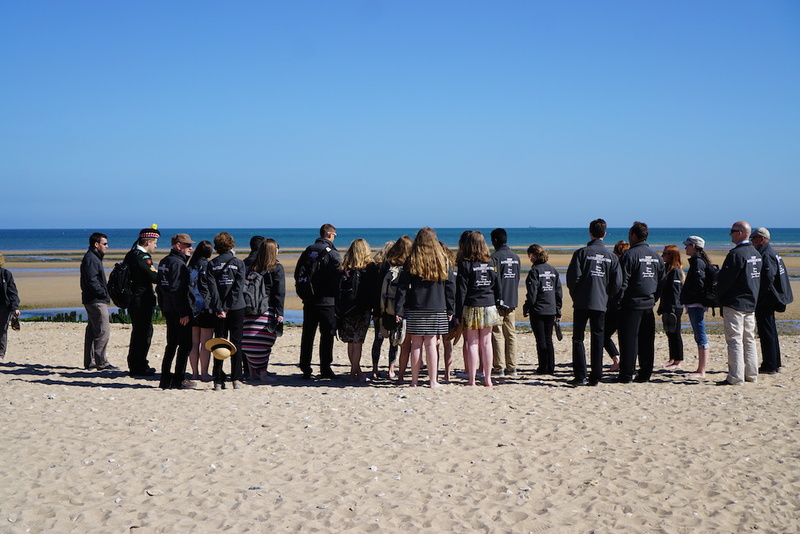 We look forward to welcoming the next class of Digital Historians to Juno next year!